Mellor & Scott has created new branding and a website for intellectual property protection company Creative Barcode. 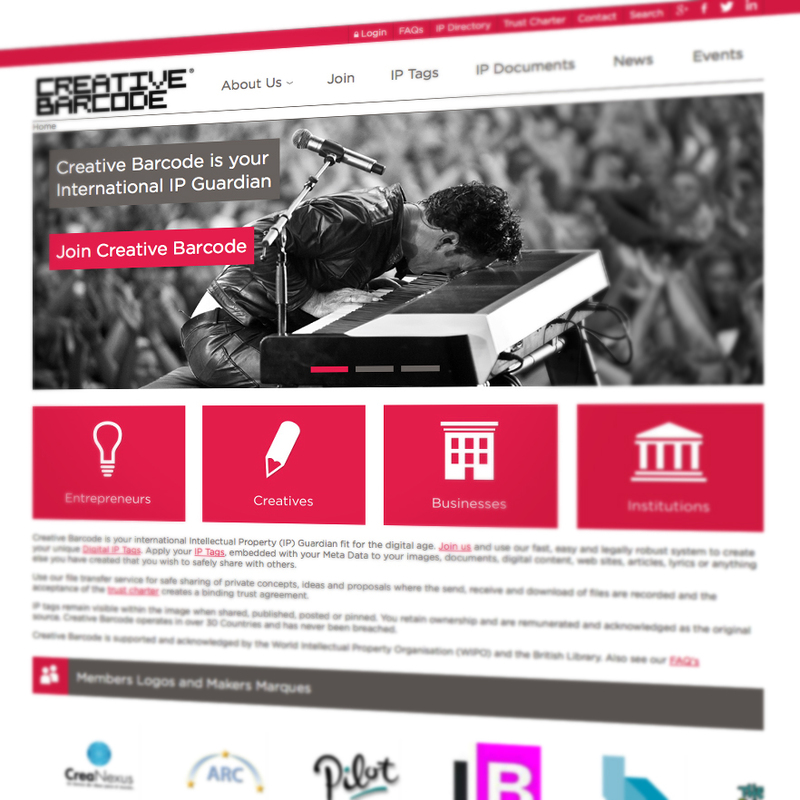 The Creative Barcode software launched in 2010, aiming to give designers pitching for work protection from intellectual property theft. 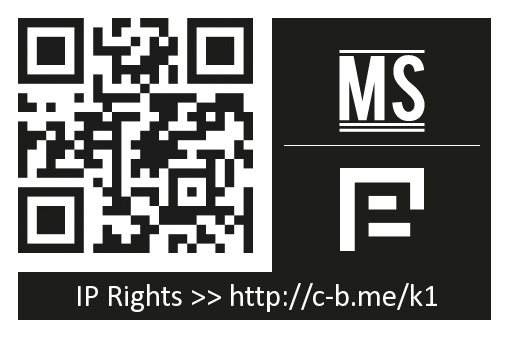 The not-for-profit organisation works by embedding barcodes into designers’ ownership to documents associated with their concepts, proposals and innovations. Third parties must agree to terms and conditions that forbid commercialisation of the idea without the designers’ permission, before being able to view the documents. Mellor & Scott was appointed to the project in November last year without a pitch due to an existing relationship with Creative Barcode founder Maxine Horn, and having been one of the first members of Creative Barcode, according to Mellor. 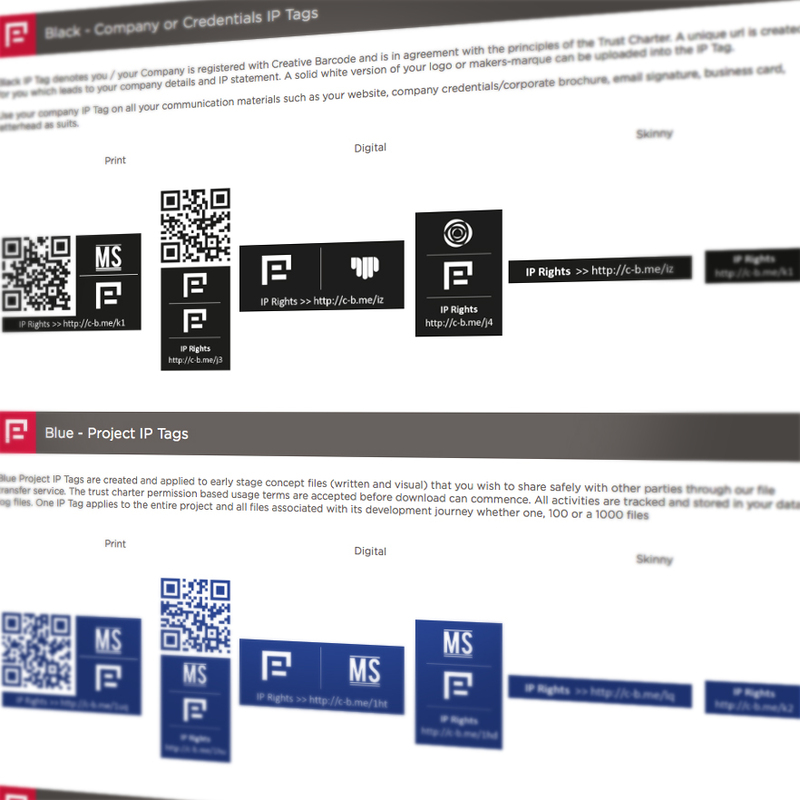 The consultancy worked with Horn Creative Barcode’s in–house team on the redesign, which has seen the original barcodes renamed as IP Tags. The former proposition of a website and an app has now been condensed into a website-only product, as part of the redesign’s drive to make Creative Barcode ‘more inclusive and intuitive’, says Mellor & Scott design director Paul Mellor. Users can now choose from a number of different styles of tag that are ‘flatter, less intrusive and deliver the information in a much more succinct way’, according to Mellor & Scott. Members of the scheme are now able to brand their unique tags with their own ‘Makers Marques’. The existing Creative Barcode logo has been retained, though the site has a new look and feel with a brighter red and white colour palette, which Mellor says aims to counter the perception of IP as ‘dry’ and difficult to understand.